Fortunately our train out of Aguas Calientes was in the afternoon, so we had a chance to sleep in and take it easy in Aguas Calientes before we had to be at the train station for the ride back. We grabbed a casual lunch near the train station as I mentioned in another post, and then it was back to Cuzco first by train, then by shuttle bus, and finally a taxi to our hotel. We’d decided to stay at the Hotel Monasterio again, and they had our driver waiting at the train/shuttle station and our stored bags already in our new room. Absolutely perfect. One last dinner in Cuzco, and it was up early for our series of flights back home. One last breakfast at the hotel, and they arranged a taxi for us to the airport. Once again, everything at this hotel was flawless, and geared towards people visiting Cuzco and/or Machu Picchu. A very early breakfast before our taxi, taxi to the airport arranged and on time…it was excellent. The Cuzco airport is relatively small, and the business class/Star Alliance Gold line had a 15-20 minute line before we could check in. However, when we did, we were surprised to hear the agent say “I am adding your name to the list, you can ask about an upgrade at the gate.” I didn’t question her, but why was this? 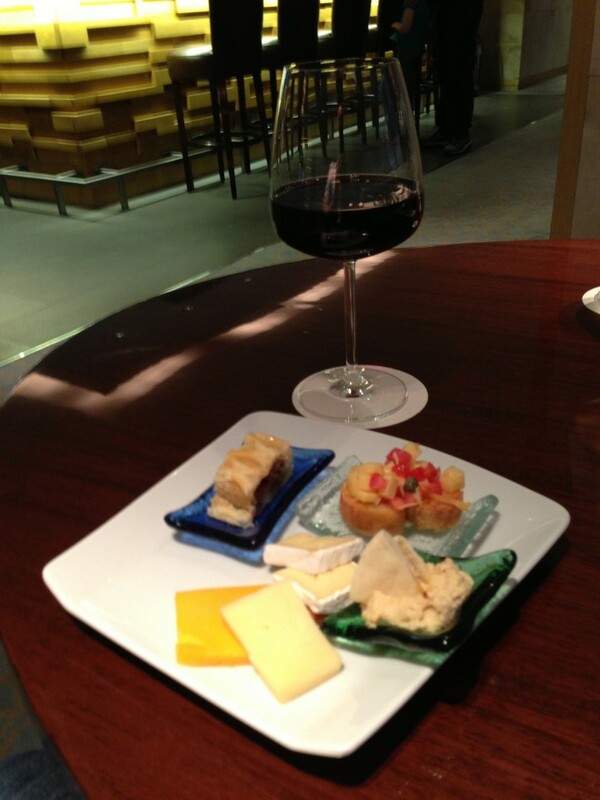 Are Star Alliance Gold members (and companions!) automatically upgraded space available at the gate on TACA?! Immigration and security were maybe a 10 minute affair, and soon we were in the very congested departures area for our flight. About two minutes before boarding, the gate agent called our names, and wrote new seat numbers on our boarding passes…upgrade confirmed! I still don’t know why, since coach was only about 75% full, and we were two of four in business, but I’m not complaining at all! By the time we’d grabbed a small snack, the drizzle had turned into a steady light rain…not a good sign for our afternoon at Machu Picchu. Let me back up here and talk about tickets a bit. You can in theory buy tickets from the government website, but when we went the website’s payment portal was down for two straight week so we had no way to get them in advance except through our hotel. The hotel arranged them for us by credit card, and we were able to pick them up along with bus tickets when we checked in. There was approximately a $10-15 surcharge per ticket for this service, but it definitely beat being caught out in the rain with no ticket when we’d gone that far! We were met at the Aguas Calientes railway station by the SUMAQ hotel porter, who put our bags in their cart and then…wheeled them to the hotel. We didn’t know there were no cars in town, so everywhere you went was on foot. It was no big deal, since the hotel was only a five minute walk, it was just funny watching them wheel the giant cart of bags to the hotel. Most of the other people on our train were at the same hotel, but were headed straight up to Machu Picchu so didn’t walk to the hotel with us. First, a few thoughts from our two days at the hotel, and then a little review of Aguas Calientes itself. 1) The “Hiram Bingham” train – a super luxury train that (as far as we could tell) only had the advantage that it served you a gourmet meal on the way. Price was around $300-350 return. 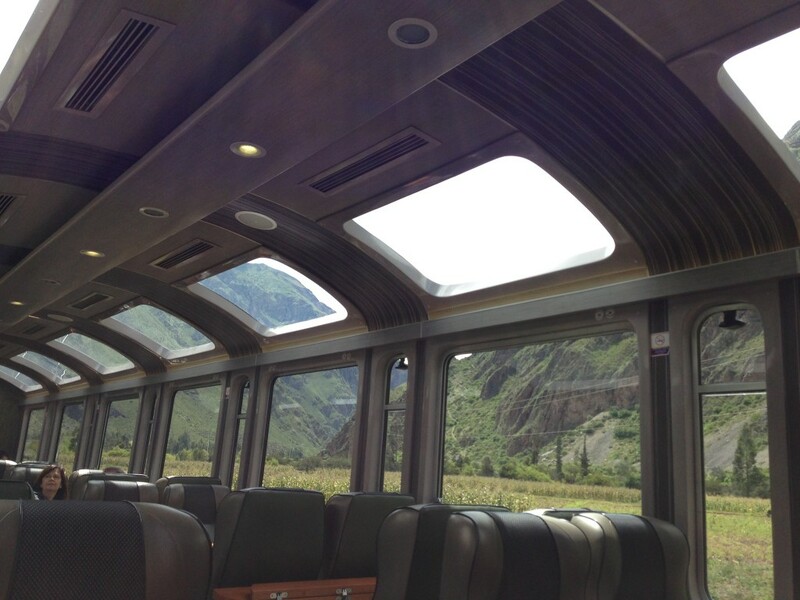 2) The “Vistadome” train (which we took) that was said to be comfortable with great viewing. About $75-100 return. Reviewed below. 3) A local commuter train, which if I remember right was like $50 return, but was said to be quite slow (at least an extra hour) and unreliable. Everything I read in advance said it was well worth paying the small amount extra for the Vistadome. It wasn’t completely clear that we needed to print the tickets or anything, so the day before the train when we arrived in Cuzco we went to the PeruRail office (easy to find on the Plaza de las Armas) to see what the story was. It was a good thing we went, because we found out not only that we needed a printout, but that heavy rains had washed out part of the track from Cuzco, so the first roughly half of the journey would be replaced by a bus. 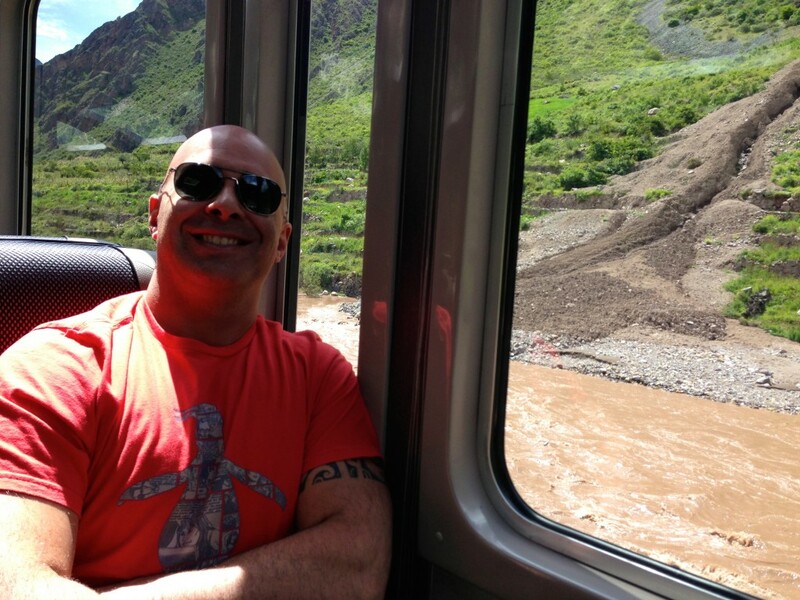 The only upside is that the bus would leave from a station in downtown Cuzco, only a 5 minute taxi ride, instead of the normal train station well outside Cuzco maybe a 30 minute taxi ride away. Small miracles I guess? The busses seated around 25-30 people, but for some reason when we got on the bus there were only 6 of us total. On the way back, however, when the train unloaded straight to the busses our bus was full. Either way, it was a bit over an hour ride and decently comfortable. There wasn’t a ton of legroom, but there was enough that we didn’t feel squashed. One important note, you are only allowed one small carry-on on the train, no more than 5kg in weight. We never saw anyone checking them, but this is because basically there’s nowhere to put any luggage. Lots of people are on daytrips so it’s not a big deal, but if you’re planning on an overnight stay (or two nights like we were) this could be a bit inconvenient. 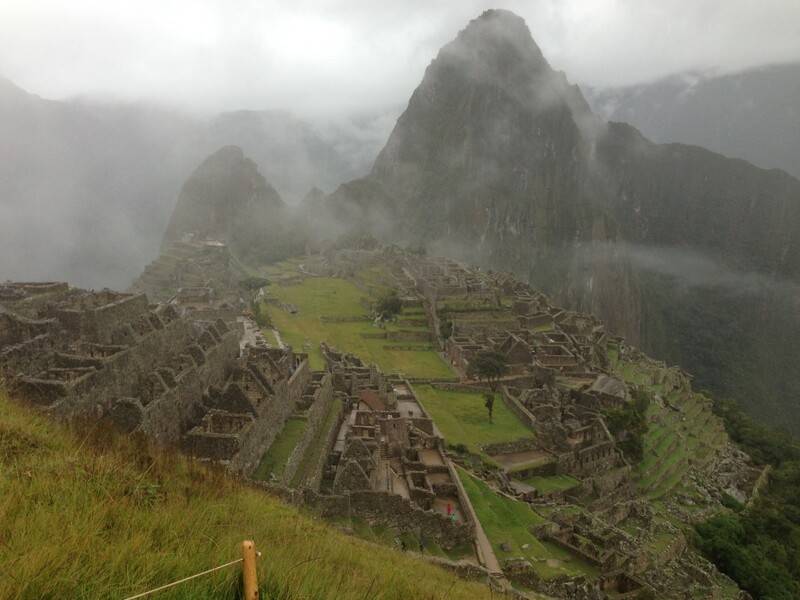 By the time we got to Cuzco and checked into the hotel, we basically had one and a half full days to explore the city. Plan was to get some lunch and explore the sites nearer the hotel and then spend the next day wandering around a bit more. 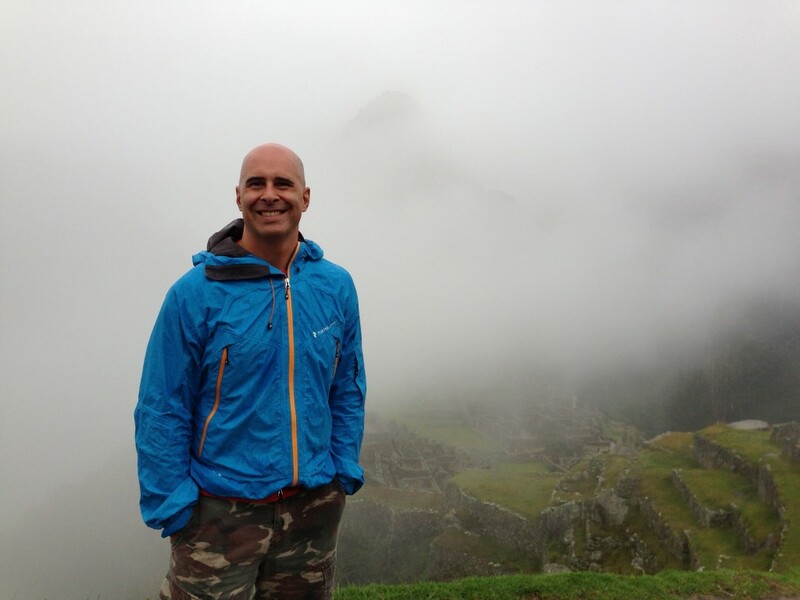 Cuzco is a very walkable city, and we did a good amount each day – but things are slow going due to the altitude. At nearly 12,000 feet above sea level you definitely move a bit slowly the first day, and even the second we were gasping for air many times! First order of business was lunch! We wandered to the Plaza de Armas and decided on Limo restaurant based on TripAdvisor reviews. It definitely didn’t point. 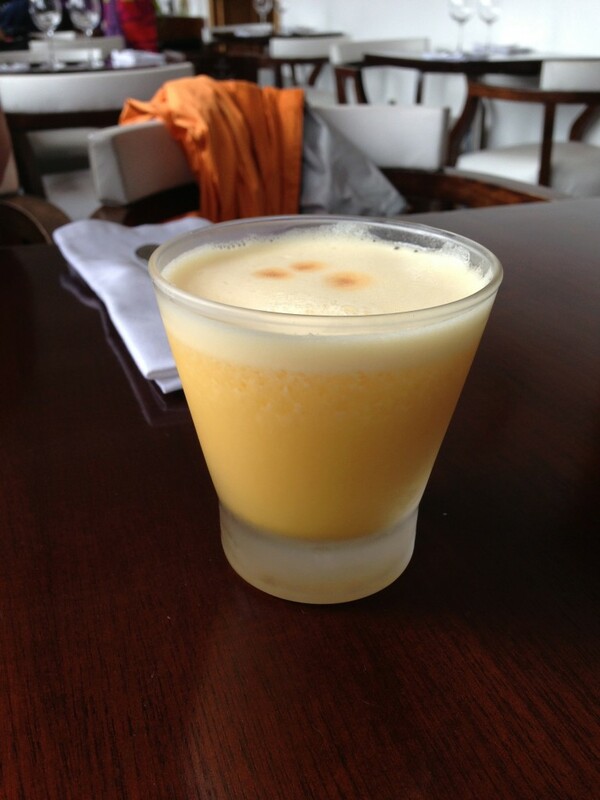 First order of business was pisco sours, well, because the review said they had some of the best in town and we had to find out for ourselves. This was followed by some very tasty grilled alpaca and lomo saltado – delicious! We debated coming back here for dinner one night, but there were so many other good looking places we wanted to try that we never made it. 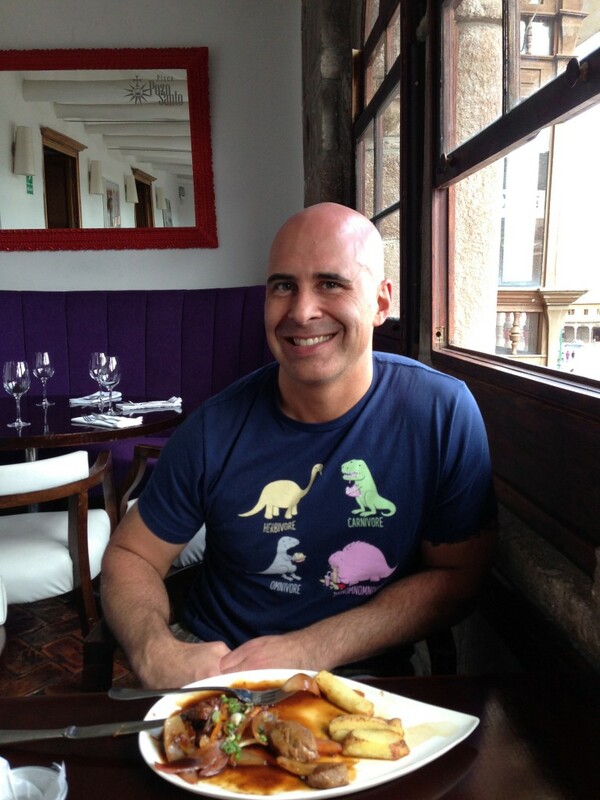 That’s one thing I’ll definitely say for Cuzco, it was filled with amazing restaurants! We’d booked a slightly later flight to Cuzco, thinking it would let us sleep in at least a little bit and a terribly early morning, but the one thing we didn’t take into account is that a 9:55 departure meant we’d be leaving for the airport in the middle of rush hour traffic. Fortunately, the trip was still quite quick and maybe 30 minutes at most, and we got to the airport just a bit over an hour before the departure of our flight. The domestic check-in line for TACA was crazy long, and even the business class/Star Alliance gold line took probably 15 minutes, but check-in was pretty easy. Unfortunately, the flight was going to be rather full meaning the middle seat in between us wouldn’t stay open. Security took another 15 minutes or so, and by the time we made it to the gate it was 30 minutes before departure and we expected them to be boarding. Except they weren’t. Boarding finally started about 9:50, when we were allow to go out to…the bus. No jetways here. By the time we boarded and closed the door it was nearly 10:30. Not horrible because we had no place to be, but it was handled very casually as if this was completely normal. The flight was almost completely full in economy, meaning the seat in between us was taken, so we shifted to the middle and window seat. It was maybe an hour in the air, so no big deal. 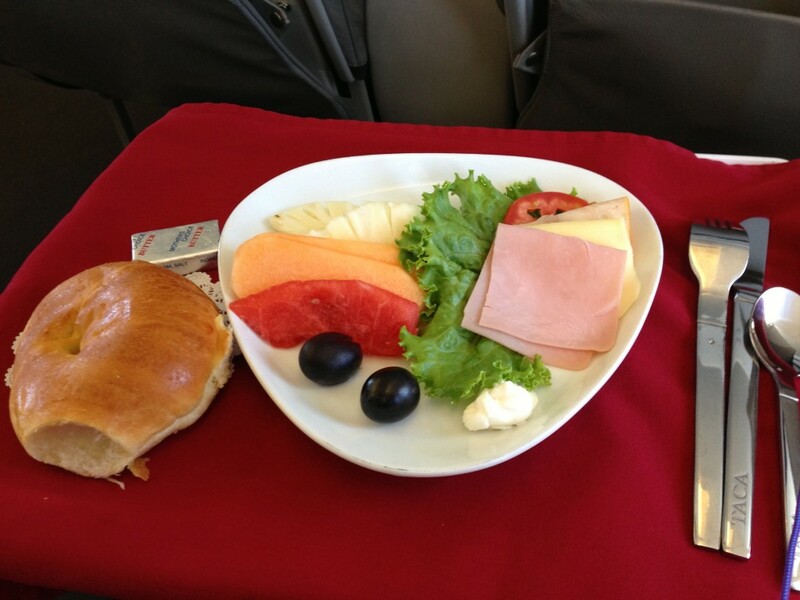 During the flight, the crew managed to serve a quick snack/sandwich and drinks to a full plane, which was pretty impressive. The snack didn’t look appetizing and we’d just had breakfast so I decided to skip it, but it was still pretty impressive that they offered it. Overall, there was nothing special about TACA, but at the same time nothing really went wrong. To top it off, milage posted to United about five days after the flight, so score one for the partnership working as well. Upon landing we got our checked baggage in 10-15 minutes, and had arranged for the hotel to meet us and transfer us so I can’t comment on how easy it would be to get a taxi. On the way back to the airport, however, we had the hotel call a taxi which was many, many times less expensive at only 20 soles. It was not quite as comfortable, but still plenty nice, so I think this is definitely the way to go. When we arrived at the Hotel Monasterio we were asked to take a seat in the lounge / bar area while they got our check-in information. They brought us a pot of coca tea to help with the altitude, and sat at the table with us while they completed registration. The room was spacious and comfortable, and had the added benefit of extra oxygen being pumped into the room to help with the altitude. The hotel was a converted monastery, so it definitely had that “something old” charm about it. 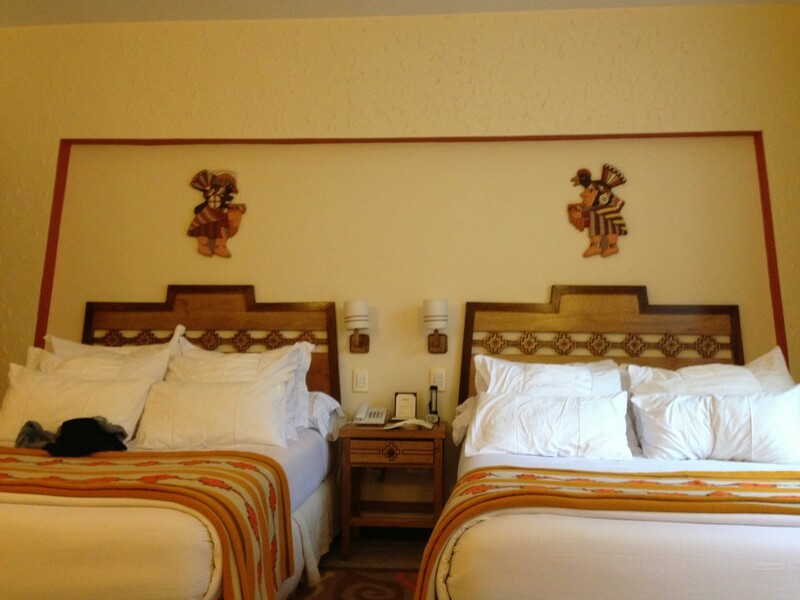 It’s not usually my preferred decorating style, but it was really cool to be staying in a place with so much history. The beds were extremely comfortable with great bedding, and the only small gripe I had about the rooms is that both rooms we had were slightly on the warm side for sleeping. We tried to get them cooler, but no matter what they stayed quite warm despite the fact the temperature would drop to about 10C outside at night. On our second stay, the hotel actually upgraded us to a small two-level suite for the night, with the bedroom and bathroom upstairs, and a large sitting area on the entry level. It was very nice considering we hadn’t requested it, and the bags we stored with the hotel were waiting for us in the room when we checked in. Big plus! As mentioned above, service was amazing. From our bags waiting for us in the room on the second stay, to friendly staff everywhere (reception, breakfast, bar/lounge, etc) the hotel really went out of its way to go that little extra step from doing what was expected to anticipating what would make your stay easier and more comfortable. Despite some challenges in communication (English skills of some staff were rather limited) it was still clear they were intent on delivering excellent service and it really showed. The location of the hotel was absolutely perfect, located 2-3 blocks off the main plaza. Just far enough away that the noise of the plaza was nonexistent, but close enough that it was an easy walk. Location was absolutely perfect! 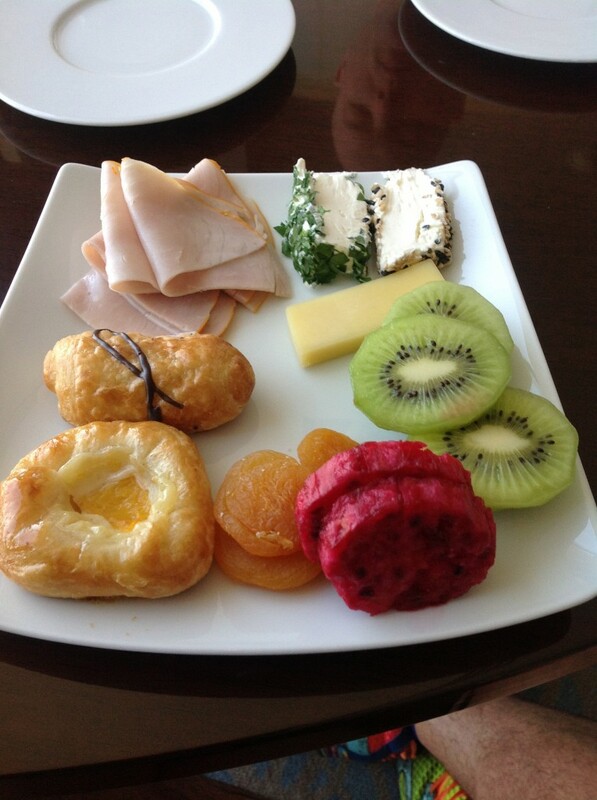 What can I say about the breakfast – absolutely awesome. The only thing that was slightly lacking is that the staff seemed slightly overworked, and getting refills of coffee took a bit of time. Now, onto all the great stuff! There were amazing breads of all sorts, pastries, danishes, meats, cheeses, cakes, pies, pretty much you name it and they had it. Not to mention fresh squeezed orange-carrot juice that was amazing. Oh, and the first day…we actually had breakfast in the courtyard of the hotel with a musician playing soft music while we ate. It blended in perfectly with the old monastery atmosphere, and again although it’s not really my style I definitely enjoyed breakfast al fresco! We didn’t have any meals other than breakfast at the hotel, but we did have evening cocktails before dinner each night at the hotel. 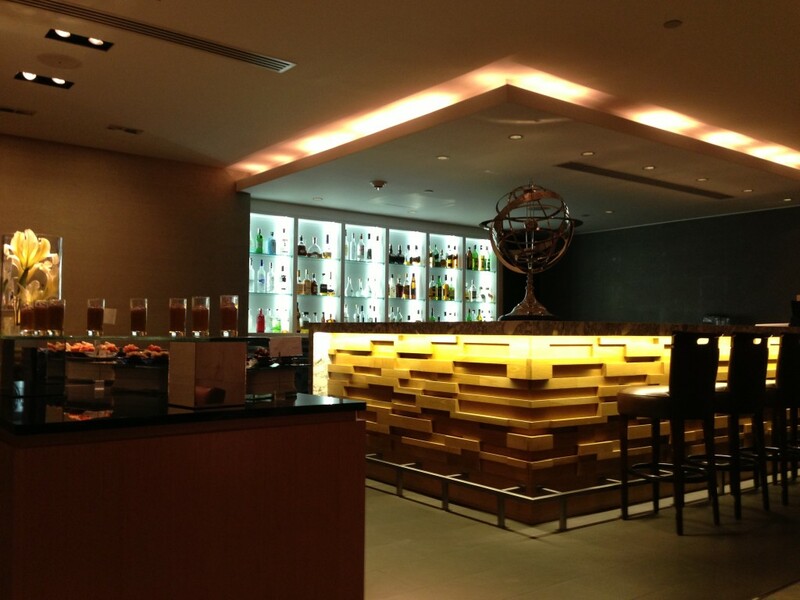 I really enjoyed the lounge space. There was a nice fire going in the fireplace each night, big cozy leather couches to relax on, and fantastic service. 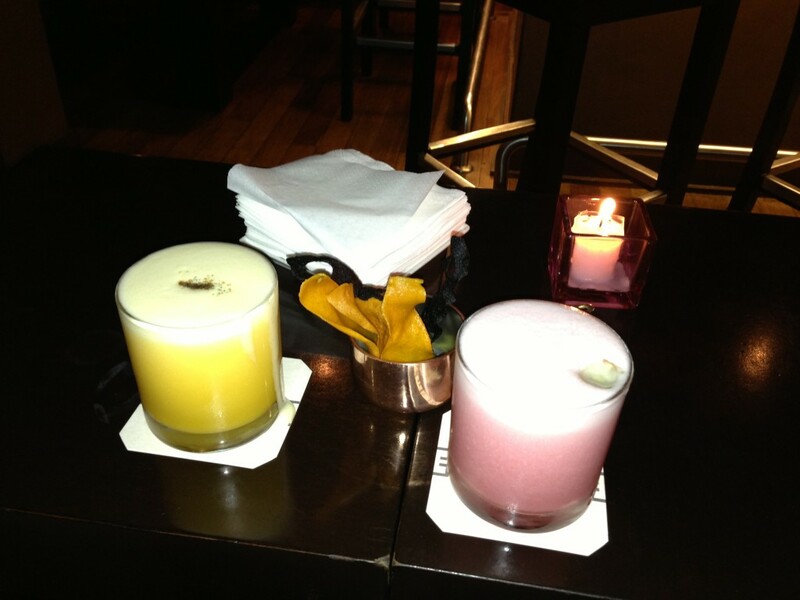 They also made amazing cocktails with pisco, and I really wish I could remember the name of the one I ordered over and over – it was delicious, and at roughly $10 for a drink in the lounge of a rather nice hotel I thought prices were incredible reasonable. There were also small bar munchies too, which were kept filled. Unfortunately we didn’t check out any of the facilities, but there was a rather nice little gift shop that sold local items. 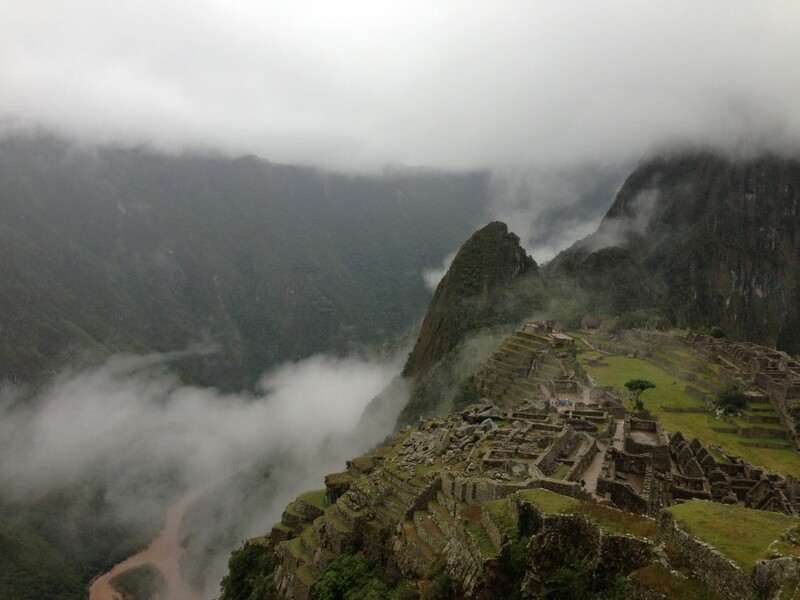 I think the best thing I can say that illustrates how much we like it is that we stayed for two nights once we arrived from Lima, and then promptly canceled the hotel we’d booked on our way back from Machu Picchu in order to stay at the Monasterio again – it was just that good. On top of everything, the taxi that took us to the train station for Machu Picchu was waiting for us upon our return, and drove us back to Monasterio. 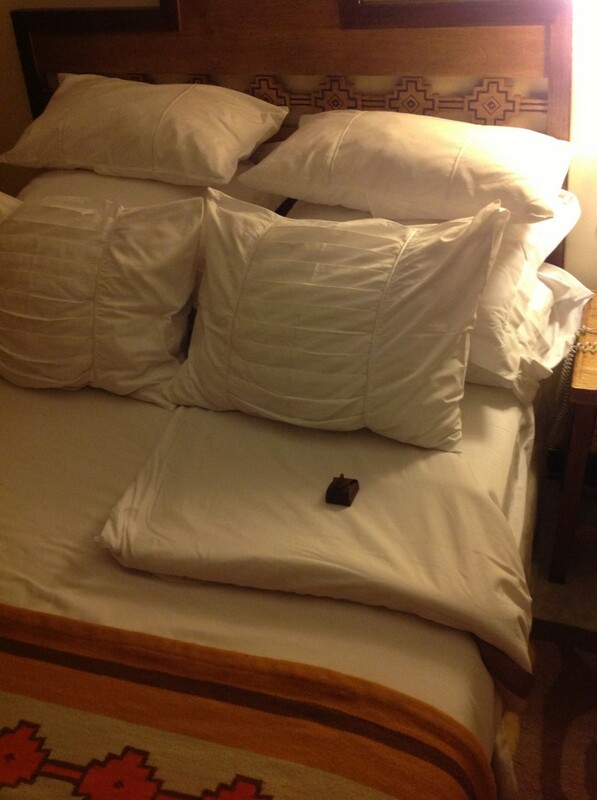 It was little details like that made this one of the most flawless hotel stays I’ve ever had. I’ve never felt a hotel went so far above and beyond with little details that you have a hard time thinking of negative things to say about it. I’m even willing to give them a pass on the room temperature, since I know I like my rooms a bit closer to arctic than most people do. 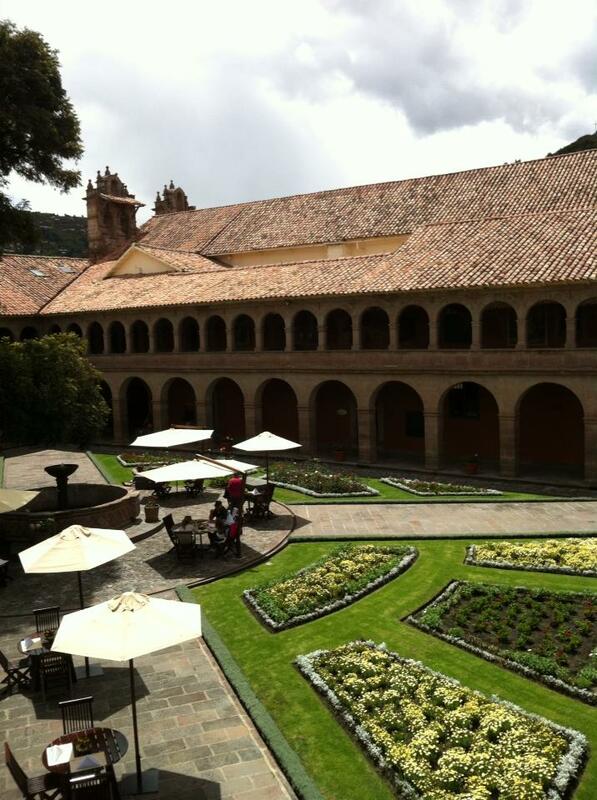 Other than that, to me, there’s no doubt this is the place to stay in Cuzco! 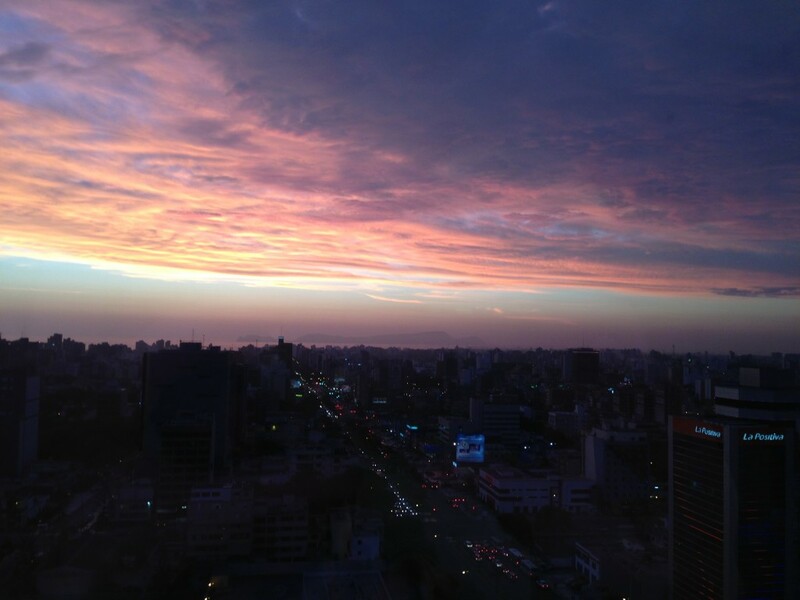 When browsing on TripAdvisor for places to eat in Lima, we found Central which was the number one rated restaurant in town. We had no trouble reserving a table for 8pm on a Saturday night (that’s because, it turned out, nobody really eats that early but since it was one seating per table it didn’t matter) and couldn’t wait to try their amazing ten course tasting menu of local and regional ingredients which looked amazing and was reasonably priced. Although you can’t really compare the two, the concept reminded me of Noma in Copenhagen, sourcing unusual local ingredients and the freshest of the season to come up with something that was fine dining, but at the same time local and unique. We were seriously excited! When we arrived at 8pm, they asked if we’d like to sit now or have a drink in the bar, and we took the hint and went to the bar for a pisco first. This turned out to be a good plan, since the restaurant hadn’t really kicked into gear yet and it was a bit early to eat. 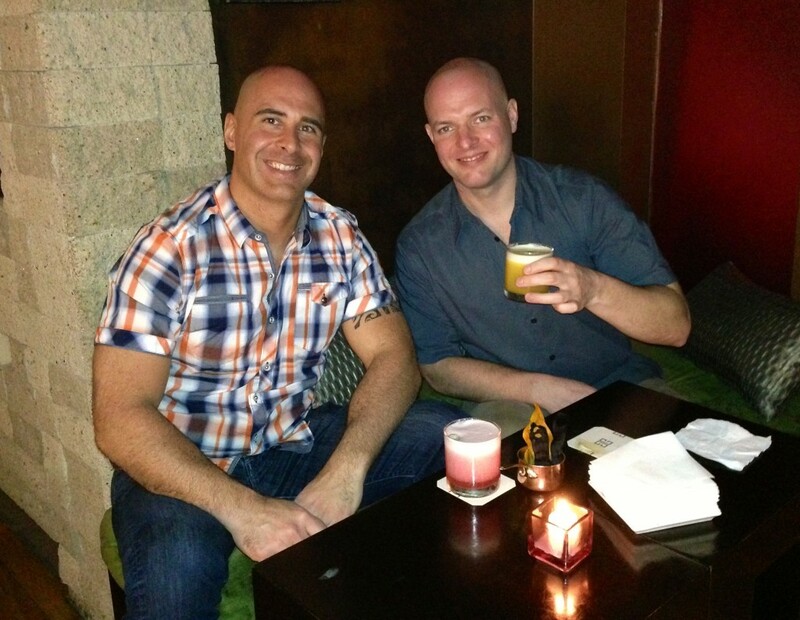 The drinks came, and were definitely the best ones we had on the entire trip! 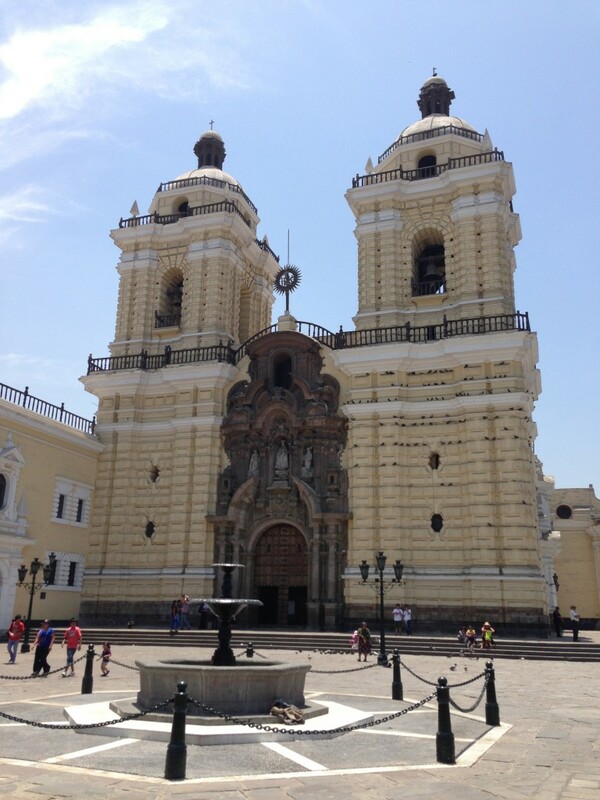 We had two full days to visit Lima, and decided to roughly split them up and use day one to explore the older part of the city and the historical centre, and use day two to visit a museum as well as walk around the newer and happening Miraflores district. We started out late morning (after a midnight arrival the night before we were in no rush to get going!) 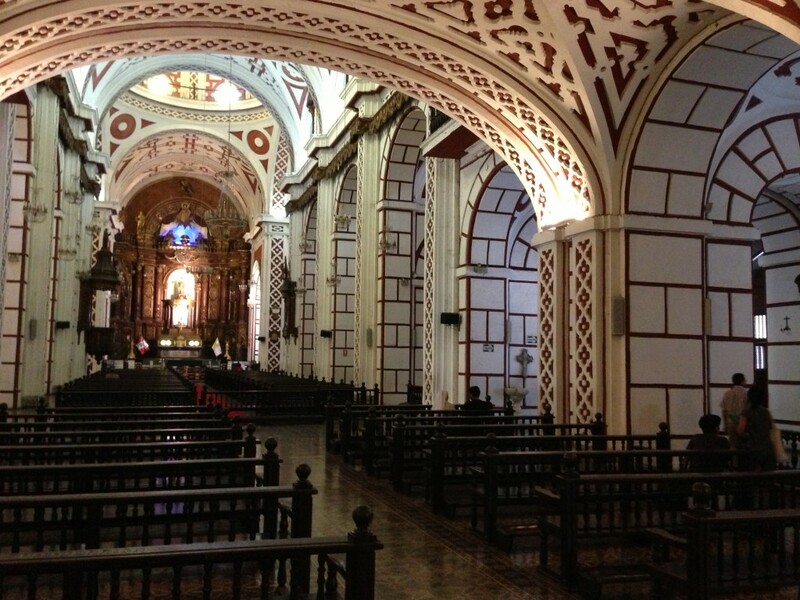 by grabbing a cab to the Centro Historico and the Convento de San Francisco church. Last fall when I was working in Senegal there were posts on Flyertalk about a great fare on COPA in Business Class from JFK to Lima, Peru for around $800. I mentioned it to a few friends, not really expecting anyone to bite, and I was prepared to book and do the trip alone when a friend of mine got really excited about joining me. We booked, and soon added a US Airways Shuttle ticket to New York, and we were all set! 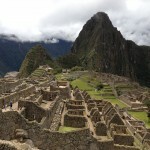 The plan was to spend a few days each in Lima, Cuzco, and finally Machu Picchu before heading home. Time flew by, and soon it was time to leave. The trip started in DC from the airport I still refuse to call Ronald Reagan National Airport – it shall always be just National Airport to me. US Airways was asking well over $300 for these flights when we booked, but the same flights purchased at united.com were under $150. The only complication was that because we had the United codeshare flight numbers US Airways wouldn’t offer complimentary upgrades with my platinum status. However, at 24 hours before the flight when we checked in, it let me choose seats in first. Who knows if this is supposed to be how it works, but it did…. Check-in was simple with maybe a five minute wait, we dropped of a couple bags with the TSA, and headed to the US Airways Club to get some water before boarding. It was pretty empty mid-morning, and soon it was time to board. The flight was pretty uneventful. Economy looked to be about 75% full, and every seat in first was taken. 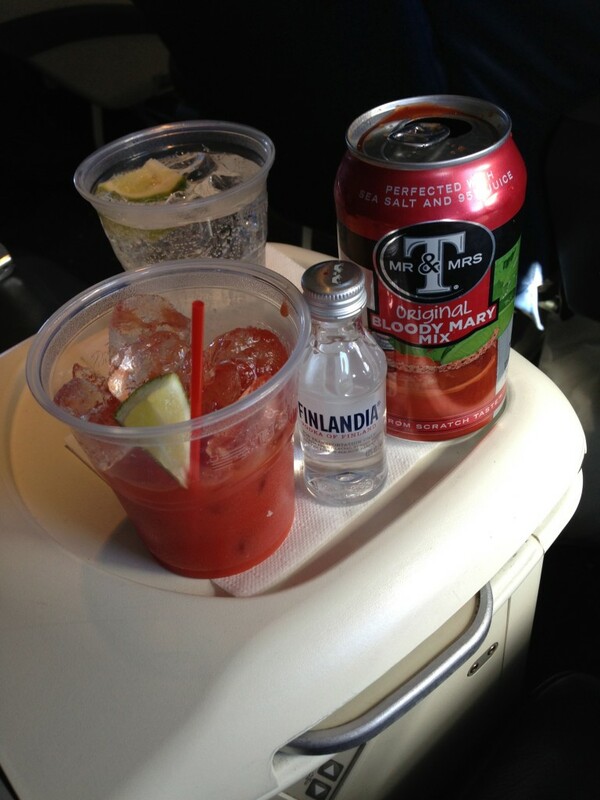 Pre-departure drinks were offered, and in-flight there was one round of drinks along with the typical US Airways snack basket full of munchies. Nothing special, but completely solid for a 45 minute flight. 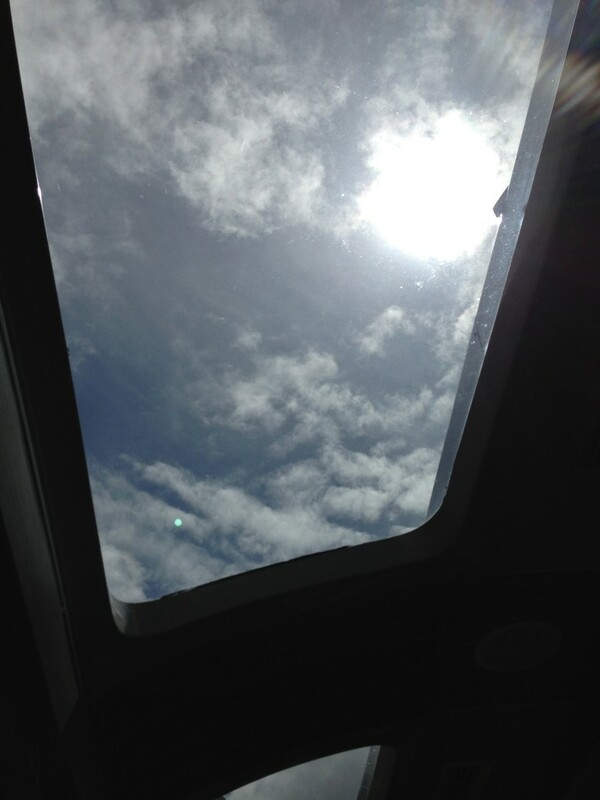 Of course, there was time for a morning wake-up…after all, this was the start of a big adventure!